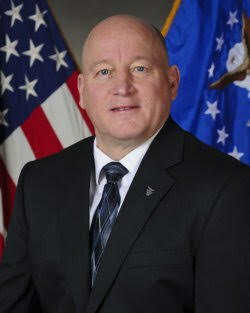 Mr. Braswell, a member of the Senior Executive Service, is the new Director of Contracting for AFLCMC at HAFB. Mr. Braswell leads a 500-person contracting workforce and provides the necessary resources to organize, train, and equip them at HAFB and its three geographically separated units, while overseeing more than $4 billion in annual contract obligations. After hearing from Mr. Braswell regarding his charter and vision for contracting, socialize and introduce yourself to Mr. Braswell while enjoying some hors d’oeuvres and dessert – cash bar will also be available. Here is your opportunity to learn more about the future of contracting at Hanscom Air Force Base with Contract Director, Mr. Braswell. Did we mention a guest from the Revolutionary War will be walking among us? Hope to see you walking among us too! All are welcome! Online registration is open so, click the Register Now button and we will see you on Wednesday, April 11!